Warranties are the safety nets that guarantee your home’s protection against the elements for years to come. As constant exposure to the changing weather can deteriorate your roof system over time, it’s crucial to have a safety net to fall back on so you won’t have to worry about untimely expenses. So, what do roof warranties cover? Let’s review. Material Warranties cover manufacturer-related defects that can cause issues down the line. There are, however, circumstances that can void this warranty. For instance, you can’t utterly neglect your roof. Most material warranties require proof of regular maintenance for coverage to continue. Take extra care to avoid circumstances which may void your existing warranties. No matter the level of quality of your roofing system, if it isn’t installed properly, chances are issues will show up soon. Workmanship warranties cover defects caused by improper installation on the roofer’s part. Should performance be affected, roofing companies will cover repairs or total replacement for you. The extent of coverage varies from warranty to warranty. It’s for this reason that you should consider which roofer to work with early on in the process. The exceptional ones will have coverage for both material and workmanship aspects, and provide the longest timeframe. 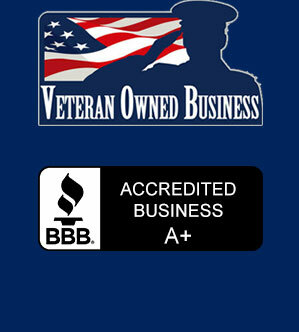 With the strongest warranties, you can enjoy lasting peace of mind as a business owner or homeowner. When you consider your next roof replacement, call the professionals at Tri-State Roofing. TSCR has the experience to make sure each roof system warranty is tailored to your situation. TSCR offers different warranty options based on YOUR roof system. Call TSCR Today!